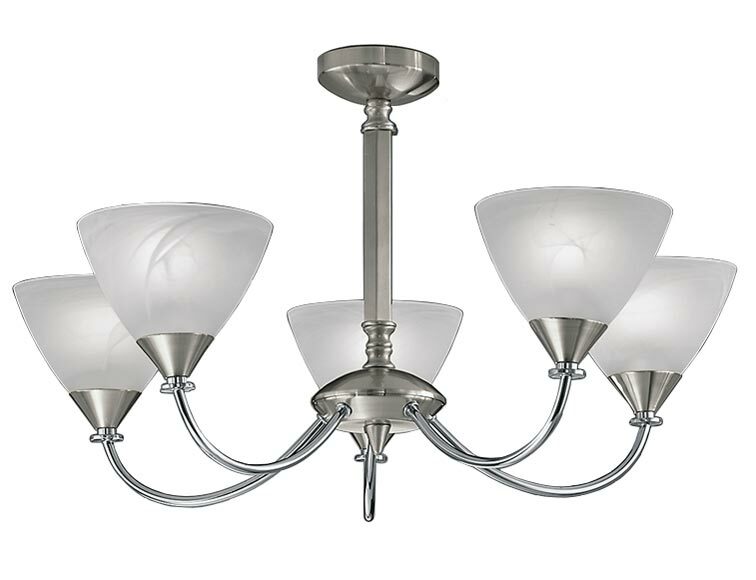 This Franklite Meridian 5 arm dual mount ceiling light in brushed nickel finish with alabaster glass shades is sleek, stylish and bright. Circular 9.5cm ceiling mount, chain link suspension and central rod, with five curved arms radiating from the bottom gallery and upright alabaster effect glass bowl shades. A bright chandelier that will enhance a traditional or modern living room, dining room, bedroom, hallway or landing. Supplied with height adjustable chain suspension but can easily be fitted as a semi-flush fitting making it perfect for rooms with a low ceiling, please see the secondary images for details and technical information for dimensions. 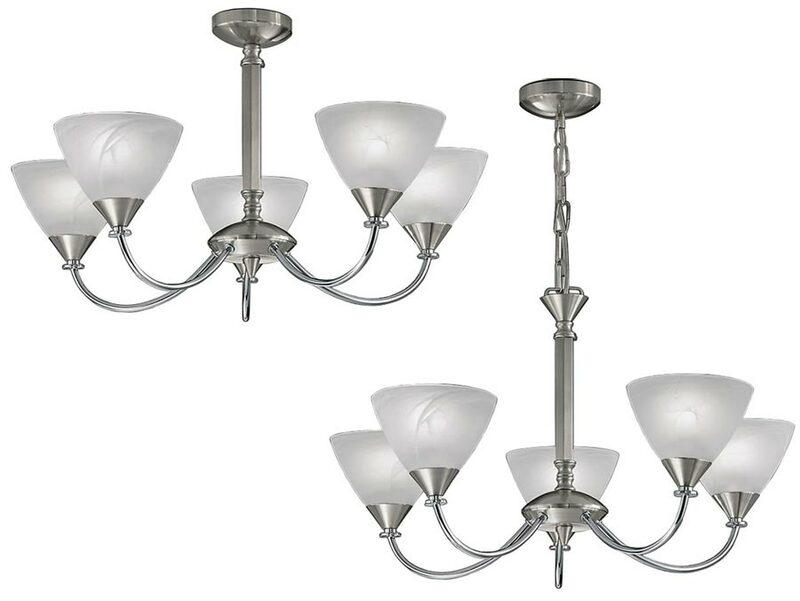 There are matching fittings in the Meridian brushed nickel finish lighting range, please see below. Also available finished in brushed bronze, please use the search bar at the top of this page to view the complete collection. 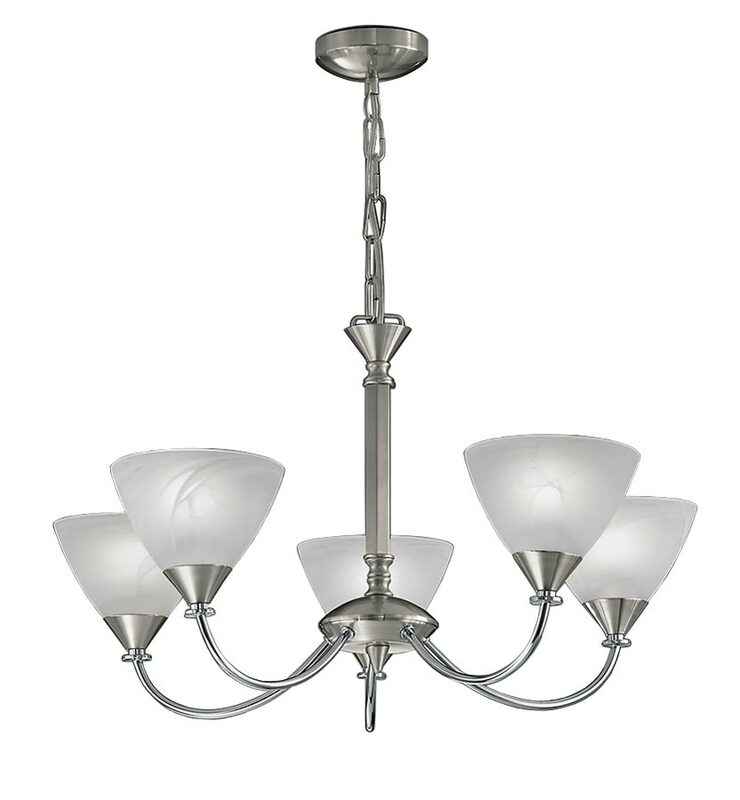 This stylish light is supplied by Franklite Lighting who have been one of the pioneers in the design, manufacture and distribution of high quality lighting such as the Meridian 5 arm dual mount ceiling light in brushed nickel finish with alabaster glass shades you see here.